by Robert J. Miller Author · James M. McPherson Author of introduction, etc. 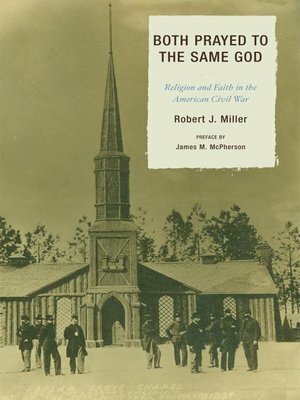 Both Prayed to the Same God is the first book-length, comprehensive study of religion in the Civil War. While much research has focused on religion in a specific context of the civil war, this book provides a needed overview of this vital yet largely forgotten subject of American History. Writing passionately about the subject, Father Robert Miller presents this history in an accessible but scholarly fashion. Beginning with the religious undertones in the lead up to the war and concluding with consequences on religion in the aftermath, Father Miller not only shows us a forgotten aspect of history, but how our current historical situation is not unprecedented. Father Robert Miller is Pastor of St. Dorothy Church in Chicago. He is the author of five other books, the most recent of which is Surprised by Love.